Abbas spokesman blasts US Secretary of State's statement that sovereignty in Judea and Samaria will not harm peace plan. Nabil Abu Rudeineh, the official spokesman of Palestinian Authority (PA) chairman Mahmoud Abbas, said on Sunday that “settlements in all their forms in the Palestinian territories which have been occupied since 1967” are illegal according to international resolutions. 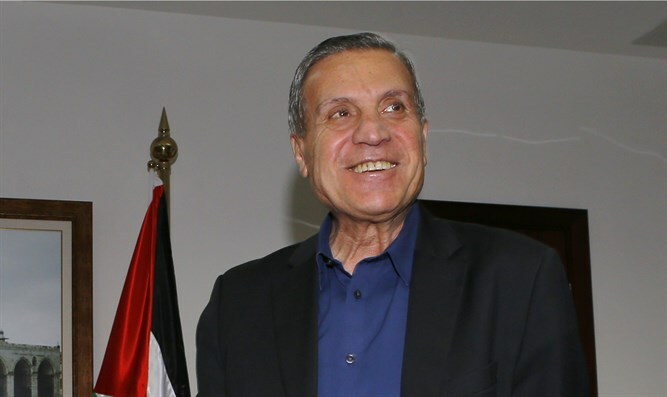 Abu Rudeineh was responding to US Secretary of State Mike Pompeo, who said on Friday that he does not believe that Prime Minister Binyamin Netanyahu's promise to apply Israeli sovereignty Judea and Samaria will harm US President Donald Trump's "Deal of the Century." Pompeo's remarks, Abu Rudeineh said, are unacceptable, irresponsible, and a provocation against the Palestinian people. He said that the Palestinian people would continue to stand firm while adhering to their legitimate rights, first and foremost Jerusalem and its holy places, and their right to freedom, independence and the establishment of an independent state on all their national land.